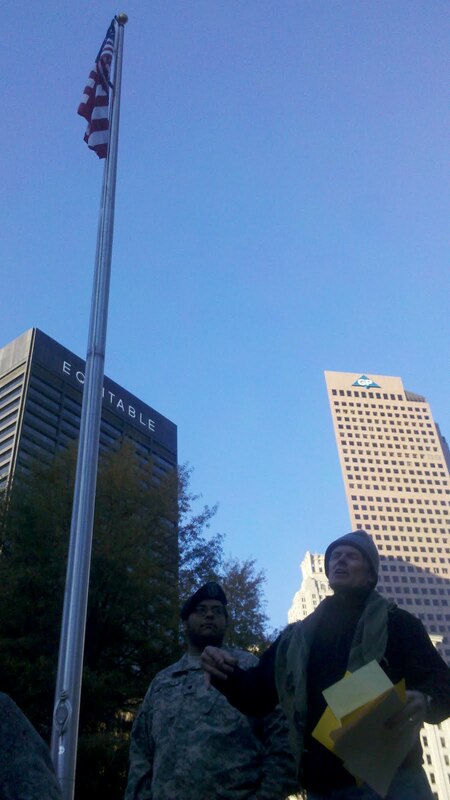 It was Sunday November 13th when Someone involved with Occupy Atlanta got a tip from a local news reporter that Capitol police were planning on evicting a group of homeless people who had been occupying a ledge within eye shot of the Georgia Capitol and City Hall. From what we have gathered complaints from the Government employees had brought on the eviction threats. 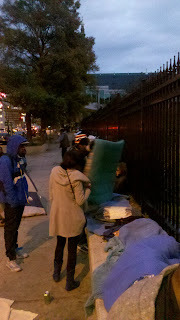 They sleep there because of the safety that comes being nestled between multiple government buildings, they sleep there because air ducts below the ledge release warm exhaust produced from surrounding buildings, they sleep there because several near by churches provide direct services. 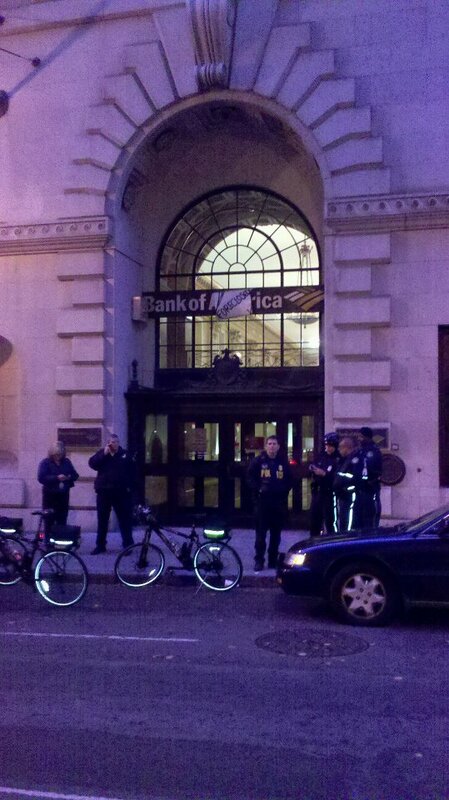 Frankly, the homeless should be evicted from the ledge and put into one of the 50,000 empty units in the city. Sadly it appears that Atlanta continues act like the city that's to busy to care, to careless to worry about where these folks would be evicted to, to concerned with the image of poverty, and not concerned about dealing with poverty and homelessness. 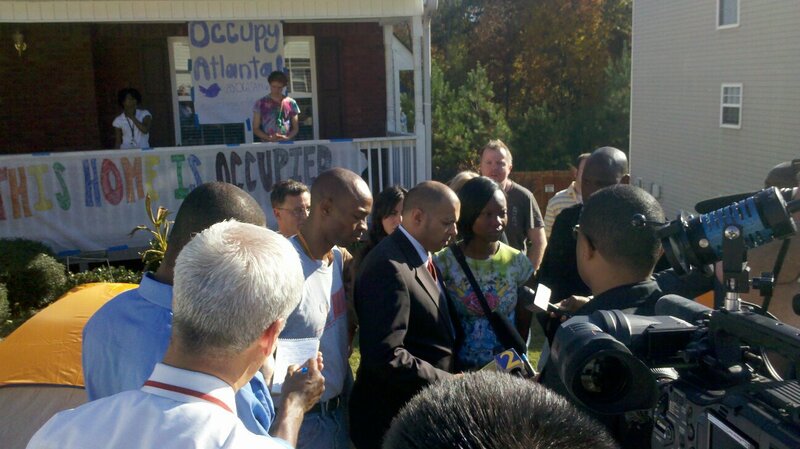 Occupy Atlanta held a press conference on Sunday November 12th calling on the city and the state not to evict folks on the ledge until they found adequate homes for them to occupy. 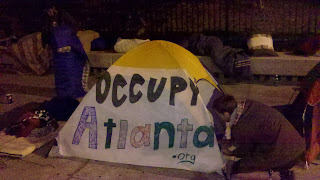 Occupy Atlanta also decided to set up tents and stay with folks on the ledge until the threat of eviction died down. I was one of many occupiers that volunteered to stay on the ledge, and I must say it was a surreal experience for me. From the ledge on Central Ave between Mitchell St and Martin Luther King blvd you can see the gold dome of the Georgia capitol and Atlanta's city hall. During the day the surrounding blocks are where most of the city and state business is done. Atlanta has the greatest wealth inequity of any metropolitan area in the country, and no block in the city exemplifies this economic reality more than this block. When the power brokers of the city and state go home the shelterless come back to the ledge each night. I spent three nights on the ledge, talking with folks, hearing their stories, taking in what it means to live on the ledge. 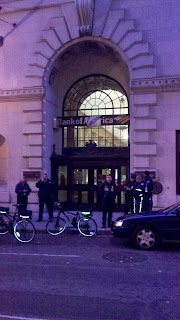 I found most of the people staying on the ledge to be extremely articulate and friendly. Many offered to help us set up tents each night and break down camp. 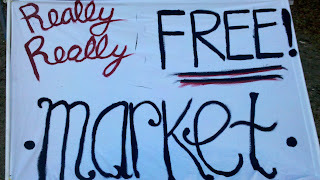 I talked with a half dozen folks that were homeless as a result of losing a job over the summer and having no financial safety net. 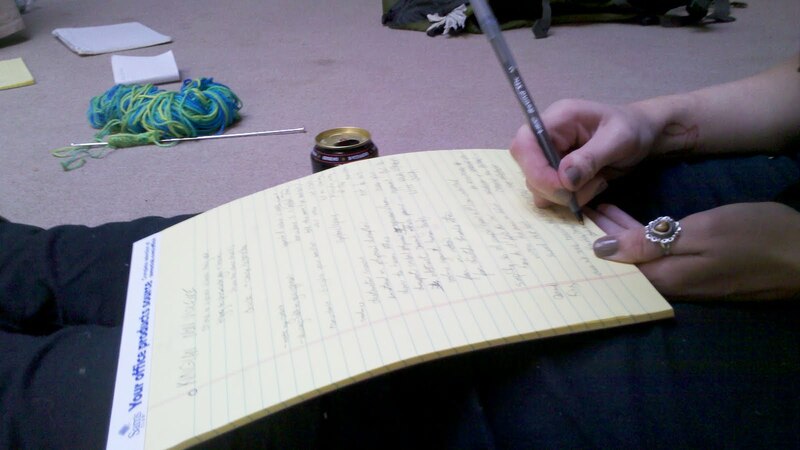 Many clean up at a local church and job hunt all day, which isn't the easiest thing to do these days. While many chose the ledge to stay at because it's safer then Atlanta's underpasses, it's by no means a super safe area at night. 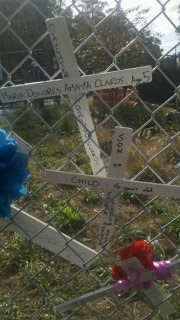 On our first night several cars drove by our encampment and fired four shots from a hand gun into the air. While some of the folks that had been on the ledge for months were a little jumpy after the shots where fired, most barely flinched. For them, it's a pretty common experience, an experience most of us never get used to. For now it seems that the eviction of the ledge had been put off, it was likely a combination of media attention and local churches that complained to the city and state once they caught wind of law enforcement's plan to evict. 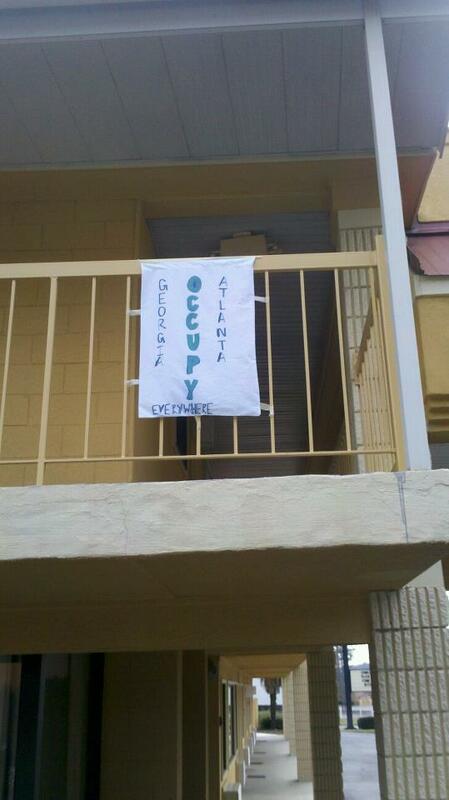 Is this a victory for Occupy Atlanta? We know that law enforcement had a plan to evict, that plan didn't happen, which is good. The real victory will be the day that the 36,000 shelterless people in Atlanta have housing. 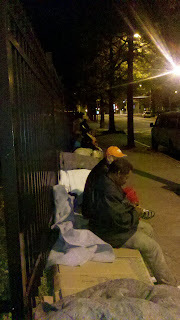 For years, homeless folks have been sleeping at Central Ave between MLK dr and Mitchell street across from city hall on a ledge that backs up into Georgia Plaza Park. 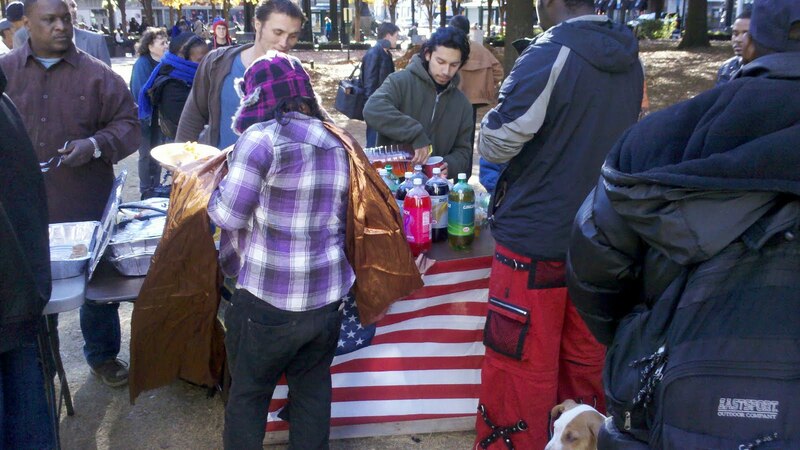 Over the past month the number of homeless occupying the space has dramatically increased. The reasons are numerous. They include the looming closing of Peachtree and Pine; stricter admission criteria at Gateway; and of course the rise in the homeless population due to double digit unemployment and high home foreclosure rate. Why this spot? The ledge adjacent to the park is constantly warmed by exhaust rising from city ducts. A woman who has lived there for months stated, “The reason we are on this wall is because it’s much safer then under a bridge”. We are also aware that several local churches provide direct services at this location. 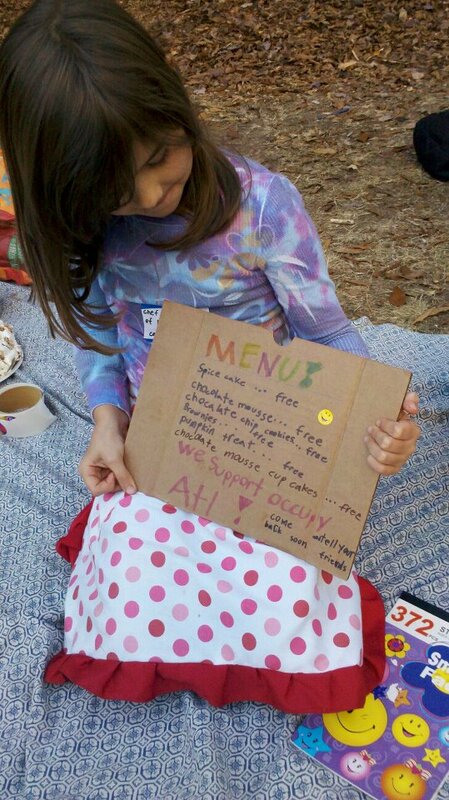 Occupy Atlanta found the homeless community to be extremely articulate and hungry to improve their lives. We became extremely concerned when we learned that the capitol police have informed the homeless that they will be forcibly removed Sunday or Monday evening. What’s even more concerning is that folks will not be provided an alternative space to sleep. We know that Judges whose offices overlook the wall have been complaining about the image of homeless sleeping outside the Government building. Some have even gone so far as to claim the presence of the homeless on this wall represents an unsafe condition for government employees and for jurors. This forcible removal of homeless is a continuation of Atlanta’s inhuman strategy to deal with human beings that have fallen on hard times. Instead forcing the homeless into the darkest corners of Atlanta we should be addressing the human needs of these people. We should be addressing the growing cancer of poverty in our city. 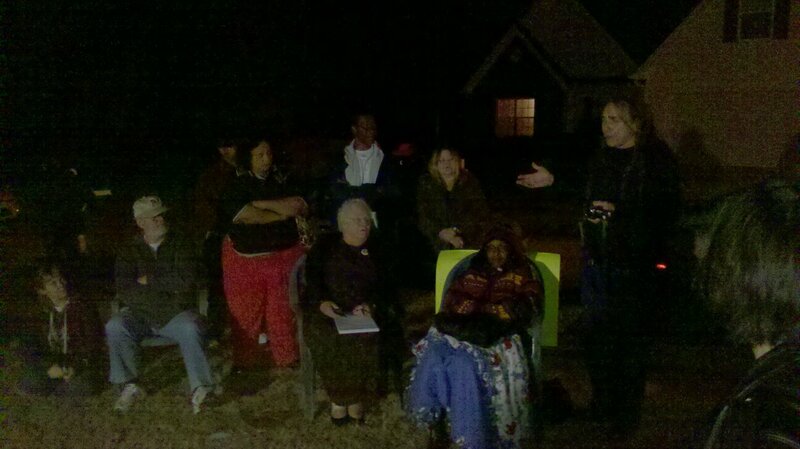 We challenge the city to explore ways to address the homeless as human beings instead of public relations issues. Atlanta can do better. Capitol Police are planning to evict the people who have been sleeping on the ledge that backs up to Georgia Plaza Park at Central Ave. between MLK and Mitchell St. They have come there for years seeking the warmth that rises up from the vents, but now they are under threat of being forcibly removed with no alternative provision. 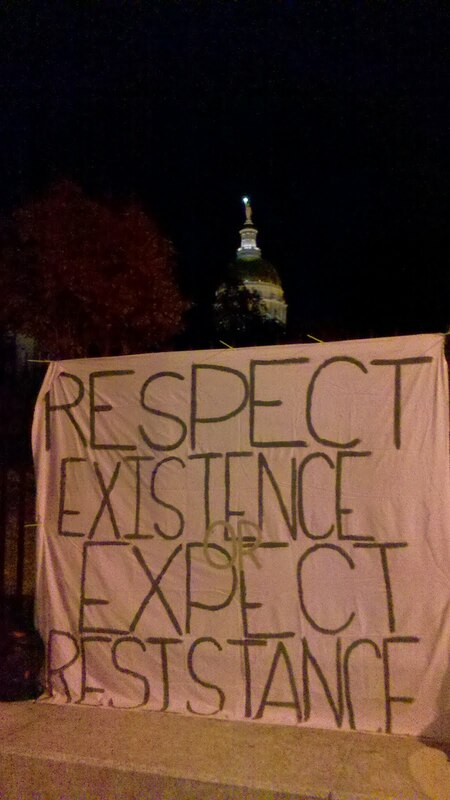 Occupy Atlanta anticipates that this removal will happen between 5:30 and 6:30 am. 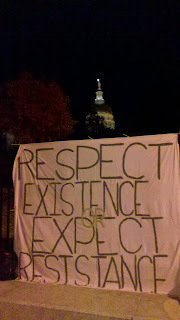 We will be occupying that space with them in solidarity and so that we will be present if the eviction occurs. Last week, Occupy Atlanta went to Snellville Georgia to occupy the home of Chris and Tawanna Rorey and their three children, to attempt to stop them from being evicted. 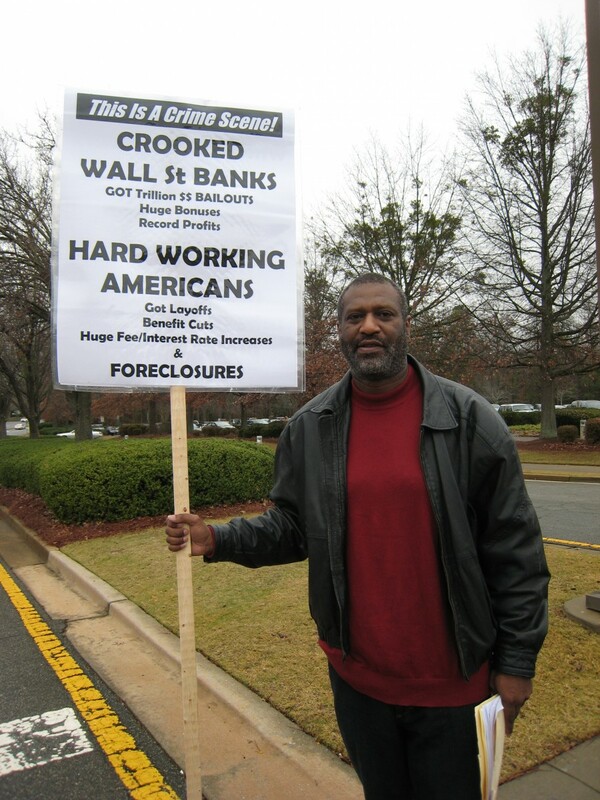 The Rorey family had fallen victim to the illegal and deceitful banking practices that have affected many homeowners in metro Atlanta and around the country. This is not a family that doesn’t have the means to pay their mortgage. 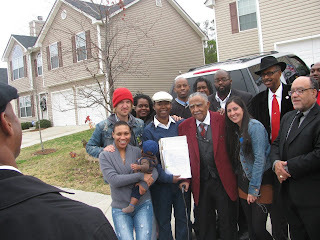 This is a family who was taken advantage of by a banking system that through securitization, mortgage swaps, and outright fraud is designed to benefit the mortgage holder and not the homeowner. When we got there we knew it would be a tough fight. Our entire system is built to favor the perpetrators of dishonest banking practices and institutionalized fraud rather than to protect the victims. 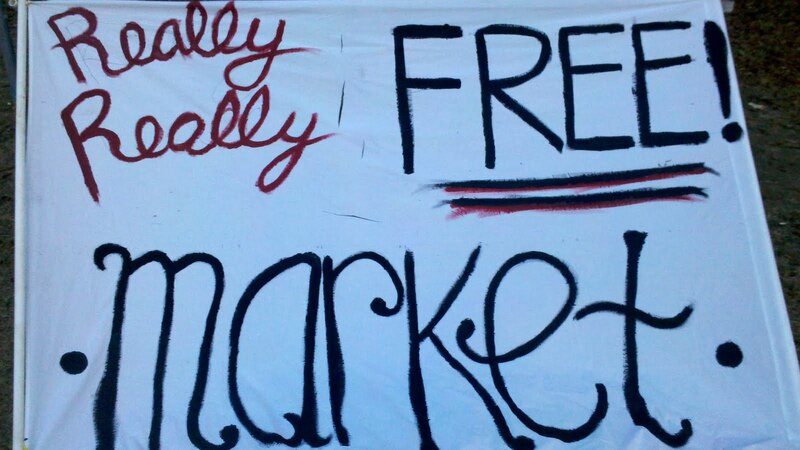 What we didn’t realize is how deeply the system has influenced the local political scene. From a judge who doesn’t believe that it’s necessary for the bank to prove ownership of the mortgage, to a sheriff whose solution to a family’s plight is to threaten arrest of a fellow law enforcement officer and his wife for seeking our help, the facts and justice of the situation don’t seem to matter to anyone in power. We left the family’s home in order to protect them but this fight is not over. We can still win this. Here’s what you can do to help. Armistice day marks the day that the major hostilities of World War I were formally ended at the 11th hour of the 11th day of the 11th month of 1918 with the German signing of the Armistice. 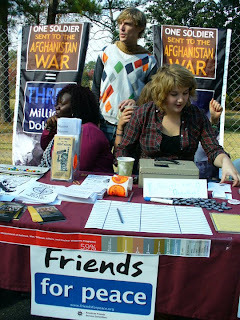 Armistice day is a day meant to celebrate peace and reconciliation. Over the years Armistice day has come to be called veterans day, and the focus has shifted from celebrating peace and reconciliation to honoring those who served in the armed services. It should be noted that Armistice day was never intended to be a day to celebrate war and nationalism. 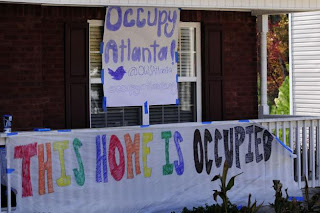 Today I was proud that American Friends Service Committee has embraced the Occupation movement in Atlanta and around that world, I think they got the spirit of the day right. 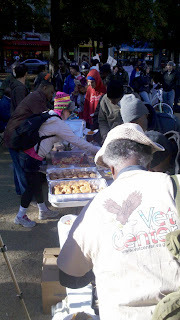 Occupy Atlanta hosted a lunch for veterans in the park and it was quite a spread. Over fifty veterans attended, many of whom have been discarded by the same nation that beats the drum of war and shouts, "Support The Troops", when it's time to fight. May veterans don't find that "Support" when they return home. The fact is veterans make about 15% less annually then their non-veteran counter parts, one third of homeless people are veterans, only 12% of veterans find that their military service helps them get a job, 33% of female veterans report sexual assault while on duty, only 20% of veteran ever receive a four year degree, and 18 veterans commit suicide every week. Before another war profiteer supporting politician or pundit beats the drum of war using the, "Support the Troops" jargon they should be forced to deal with the harsh realities most veterans of war live with everyday. After Occupy Atlanta served lunch there was a veterans speak out. Several veterans, including Vietnam combat medic John Zientowski and Iraq Veteran Hector Barraza both made the case for a full scale foreclosure on America's wars to heavy applause from the crowd. 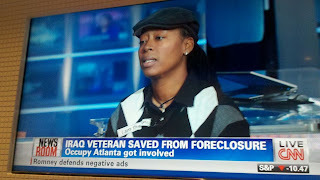 After the speak out Occupy Atlanta marched to Bank of America and held a foreclosure proceeding. 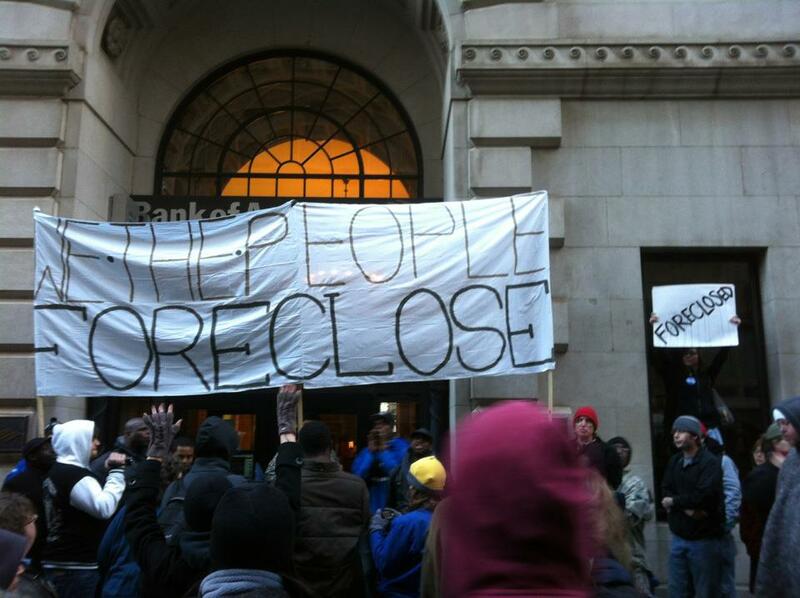 The bank was foreclosed upon for a number a reasons including the misuse of billions of TAFT dollars from the American people, foreclosing on countless veterans, hidden bank fees for service men and women currently serving overseas, and being morally and ethically bankrupt. 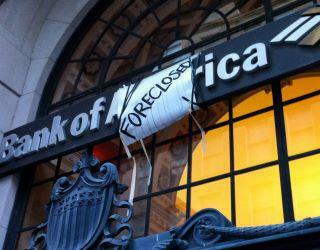 During the foreclosure proceedings, "foreclosed" signs were put up and the doors were locked. I'm told that the building will go up for sale this Monday on Craigslist. On November 18-20, 2011 the American Friends Service Committee will join thousands of social justice activists and organizations from across the Americas in occupying the main gates of Fort Benning, Georgia to call for an end to U.S. militarization and for the closure of the Western Hemisphere Institute for Security Cooperation, formerly the School of Americas. The three-day convergence will include a massive rally, where thousands will occupy the main gates of the Fort Benning military base in order to transform it from a place that trains assassins to a place of initiation into political awareness. 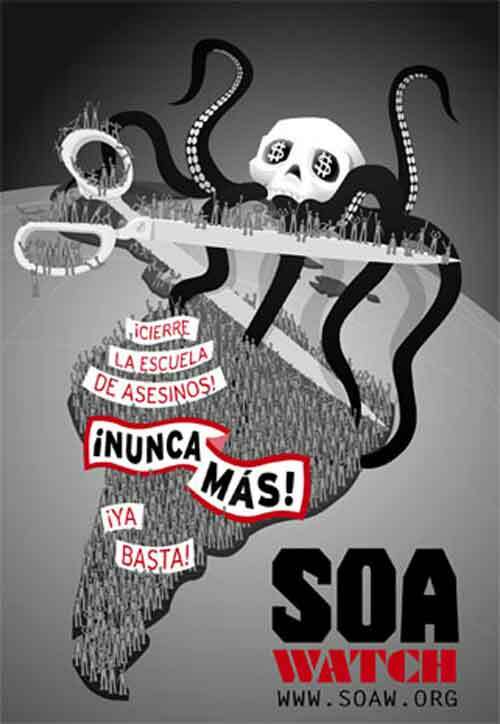 On Sunday, November 20, the chain-linked barbed wire fence will be transformed with images of the martyrs, crosses, stars and flowers into a memorial for the victims of SOA violence and U.S. intervention. Human rights activists will carry their protest onto the grounds of the military base, risking arrest and up to six months in federal prison. 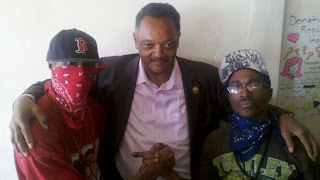 The mobilization will include speakers from the NAACP, the Sisters of Mercy, the Georgia Undocumented Youth Alliance (GUYA), torture survivors and human rights activists from Latin America as well as plenaries, workshops, concerts, strategy sessions and more. On November 4, Representative McGovern introduced H.R. 3368, the Latin America Military Training Review Act, in the House of Representatives. The bill calls for the suspension of the SOA/ WHINSEC and an investigation into the connection between U.S. military training and human rights abuses in Latin America. 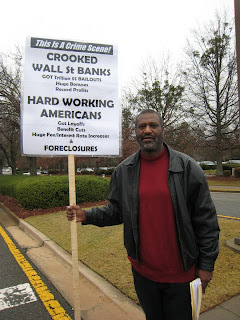 SNELLVILLE, GA - Occupy Atlanta goes out into the suburbs where the impact of foreclosures and deceitful bank practices are being felt just as they are throughout the Atlanta metro area and the entire state. Georgia has the fourth highest foreclosure rate in the nation while Atlanta lost more jobs last year than any other city in the United States. Tawanna Rorey is a full-time homemaker, while her husband works in law enforcement; they have three children. The house on Shoreside Circle was their first home purchase, in 2003. When SunAmerica, their original mortgage company went out of business, their mortgage become securitized and was eventually purchased by Fannie Mae and serviced by EverHome. The Roreys had never missed a payment on their mortgage, but sought loan modification because of rising expenses and also because they were trying to send their oldest daughter to college. They were told by EverHome they would have to show financial hardship and should do so by missing a payment; this practice is increasingly common and puts homeowners at risk unnecessarily. 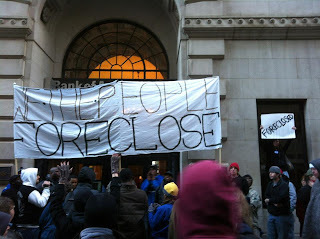 EverHome began foreclosure proceedings immediately while also moving forward with the loan modification, a practice called “double processing.” At this point the Roreys approached by a con artist named John Harris; he pretended to be an advocate for borrowers who would help them with the loan modification process. His real motive was to gain access to homes which were being foreclosed on so that he could pretend to be the landlord and rent them once they were empty; he was arrested in Cobb County October 17. 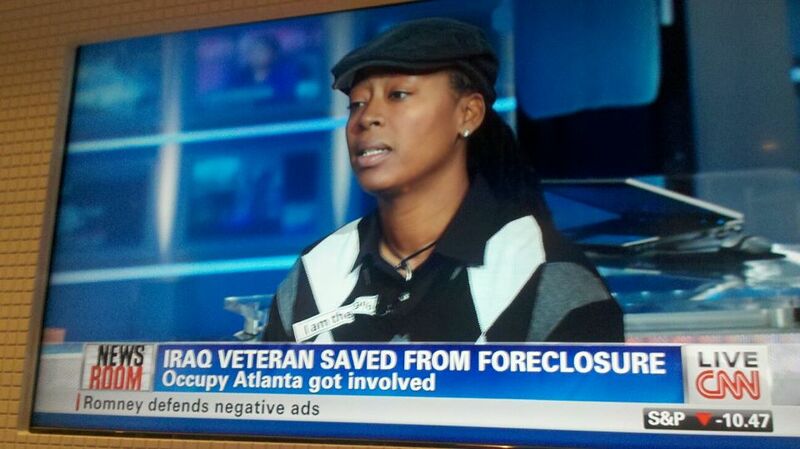 Before the foreclosure they engaged a lawyer who did not file properly; the suit was dismissed for that reason. At that point they engaged a new lawyer who is addressing the situation as it now stands. 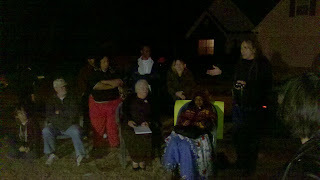 Occupy Atlanta currently has a group occupying the home, with the family’s blessing. So far the Gwinnett County Sherriff’s Department has not served the eviction notice; the delay has allowed attempts to stop the foreclosure to go forward. Additionally, Occupy Atlanta has helped an Occupy Gwinnett group to form in order to address issues important to people in Gwinnett County. The Rorey family’s story is just one example of a situation unfolding in communities all over all over the United States. Inadequate regulation of lending practices, including inadequate protections for borrowers, creates a situation where even people in relatively good financial shape can wind up facing foreclosures and legal nightmares. 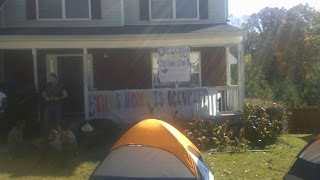 Occupy Gwinnett – Please call Judge Karen E. Beyers to ask her to overturn her decision against this family: 770-822-8605. In addition, please encourage Sherriff Butch Conway to continue to show forbearance while we try to find remedies for this family: 770-619-6500. 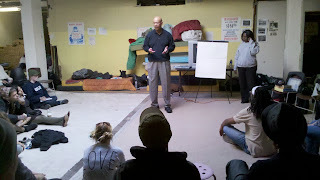 Today the Martin Luther King Jr Center for Nonviolent Social Change facilitated a Kingian Nonviolence for Occupy Atlanta at Task Force for the Homeless. 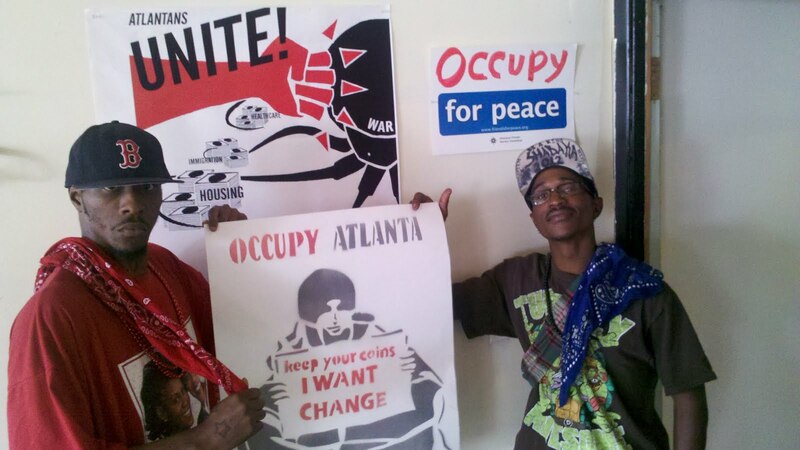 The workshop was especially relevant as Occupy Atlanta planned to reoccupy Troy Davis Park just six hours after the training. 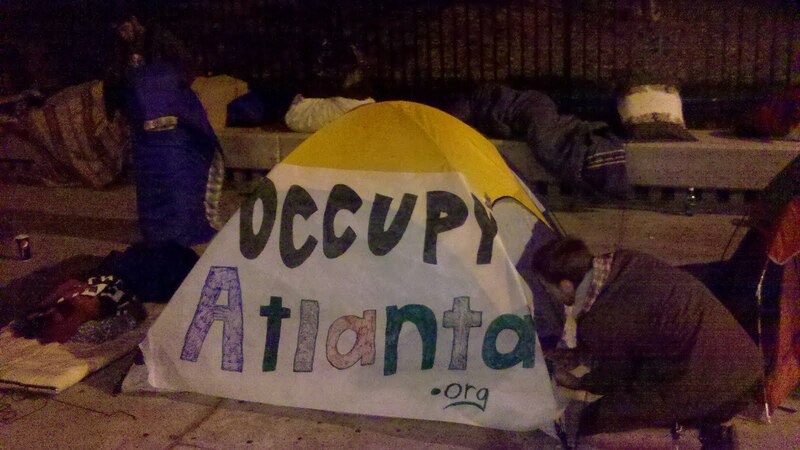 Sherrod was walking down peachtree street past Troy Davis three weeks ago and saw all the tents. "I wanted to know what was going on, so I stopped by,I haven't left since", said Sherrod. 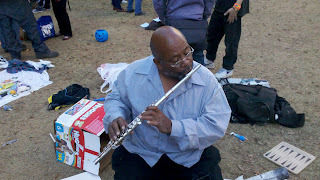 On Shabaka's first day at Occupy Atlanta he approached a group of folks doing an impromptu free style session and saw Sherrod. "I saw him in the park, saw his colors. There was no mean mug or rivalry because we realized that what's happening hear is so much bigger then gang rivalry", stated Shabaka. "I let him sleep in my tent cause he didn't have one. We are connected through music, faith, and Occupy Atlanta", stated Sherrod. Sherrod and Shabaka are now both very committed full time occupiers. 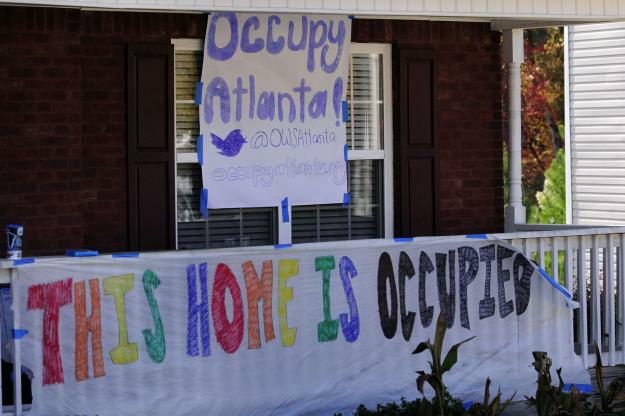 Occupy Atlanta may have started as an act of civil disobedience designed to shine a light on the extreme wealth disparity in our city, country, and around the world. It's important to acknowledge that one of the beautiful byproducts of this new movement is the transformative experiences that arisen as a result of so many different people form different walks of life occupying a space together for a common cause.